It is peak cherry blossom (sakura) season in Osaka this week. 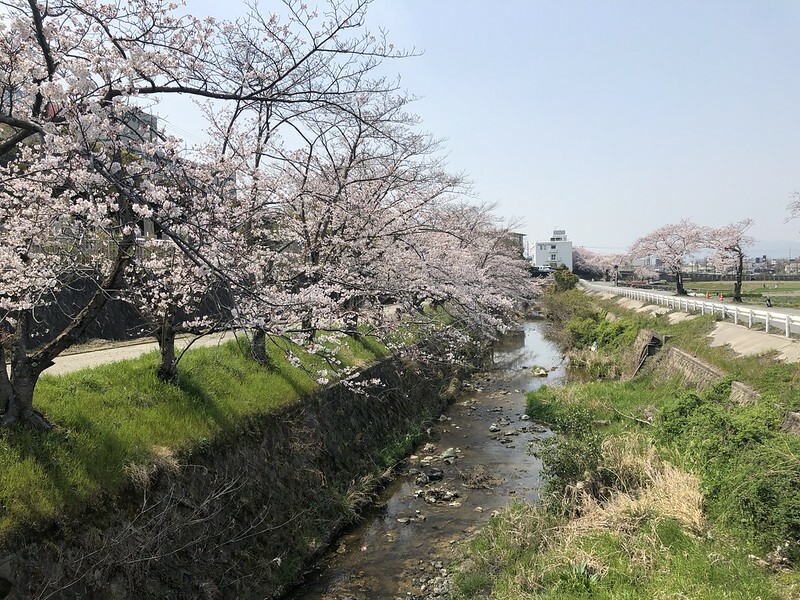 I followed the Senri River yesterday on my bike ride to enjoy the blossoms and see the many picnics and parties taking place around cherry trees. Hanami, or “flower-viewing” is a long tradition in Japan. The change of seasons and the ephemeral nature of these changes plays a prominent role in Japanese culture. 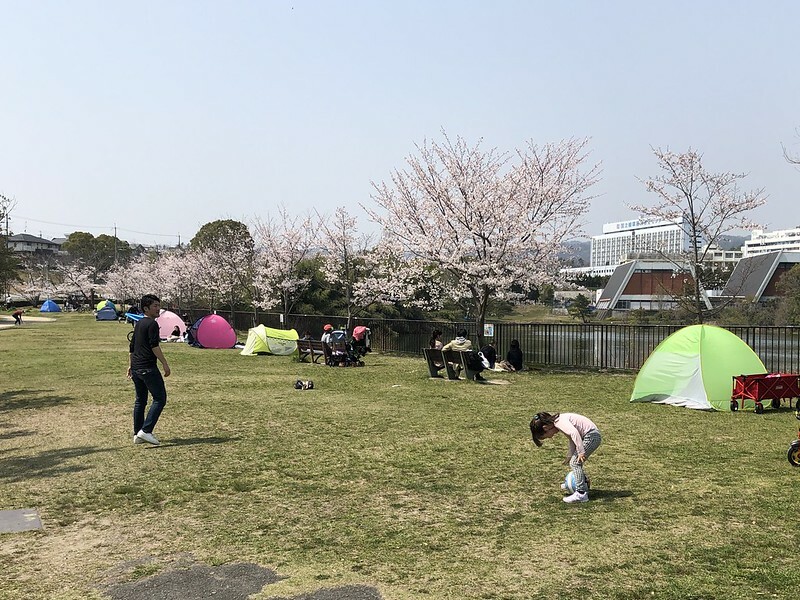 I saw hundreds of people holding picnics and playing in parks under the cherry trees. 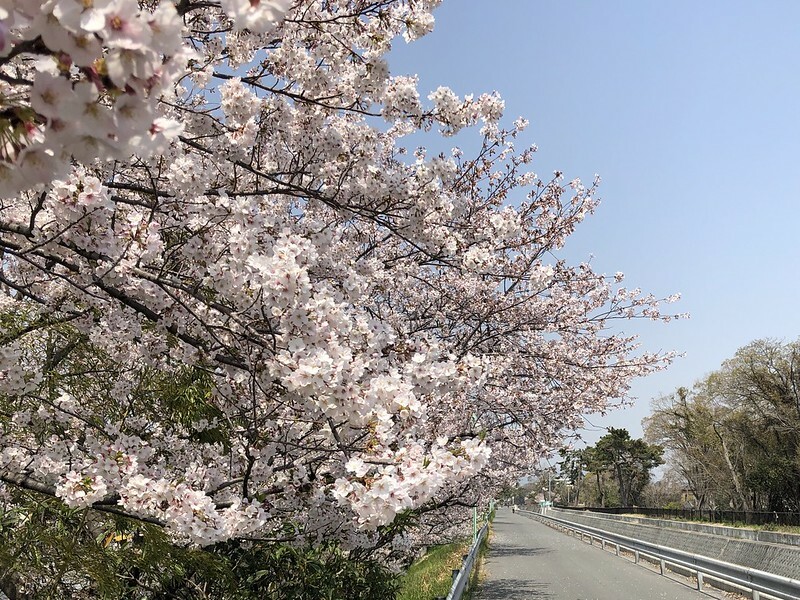 There are thousands of cherry trees in Osaka. Most line rivers and canals, but they are also found alongside many streets and parks. We are finally having some nice weather after a cold March and so it was so pleasurable to ride a bike yesterday. ← The Pleasure of Cycling!